West Buttress expeditions begin at (7,200 ft/2,100m) on the Southeast Fork of the Kahiltna Glacier. They follow the Kahiltna North before ascending up onto the West Buttress proper. 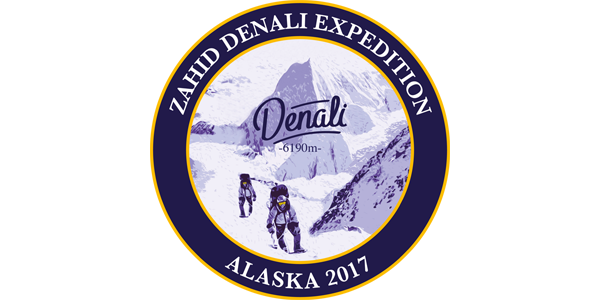 The following itinerary represents an initial outline of the Denali Expedition. Many factors can, and likely will, contribute to cause the following schedule to change. Our Adventure Consultant‘ guides know the mountain and may elect to stray from this itinerary in order to give our team the best possible shot at getting to the summit. April 28 TRAVEL TO ANCHORAGE Stay at the Lakefront Anchorage Hotel. April 29 TEAM MEETING AND BRIEFING Our team meetings are generally scheduled at 10am for an expedition orientation and equipment check. This is an essential meeting which all climbers must attend and enjoy another night at the Lakefront Anchorage Hotel. April 30 TRAVEL TO TALKEETNA AND FLY TO THE GLACIER (7,200ft/2,195m) We provide transportation to Talkeetna for all of our Denali climbers, using our own vans and trailers so we are not tied to a third-party’s schedule. The drive takes a bit over two hours, and we’ll stop for coffee and snacks along the way. Once in Talkeetna, we’ll need to unload, organise and weigh all of our equipment and supplies in preparation for our flight to the glacier. We will also finish the registration process with the National Park Service (NPS) and attend a pre-climb orientation provided by one of the NPS Climbing Rangers. After finalising all the NPS admin steps, we’ll fly to the glacier, weather permitting. Once on the Southeast Fork of the Kahiltna Glacier, we’ll be busy establishing our camp for the night at 7,200ft/2,195m. May 1 SINGLE CARRY TO CAMP 1 (7,800ft/2,377m) Departing base camp, we’ll drop down the infamous Heartbreak Hill and onto the broad Kahiltna Glacier. Our goal will be to move to Camp 1 at about 2,377m/7,800ft, near the junction with the North East Fork of the Kahiltna Glacier. This is a moderately tough day of about 9 miles round trip, is a good shakedown for the upcoming days and taking around 4-5 hours. Depending on the team and weather, we may or may not carry loads and return to Base Camp. Throughout the expedition we will typically follow the “climb high, sleep low” technique for better acclimatisation; however, the altitude difference between Base Camp and Camp 1 is minimal enough to permit us to generally “single-carry” this stretch. On the late May and June expeditions, we may be doing our climbing early in the morning to avoid the excessive heat and soft snow conditions on the lower glacier. May 2 HAUL LOADS UP TO KAHILTNA PASS. We’ll head out of Camp 1 (7,800ft/2377m) and carry loads up the 1,800ft/548m Ski Hill. Several options exist for the Camp 2/Cache sites between 2,700m and 3,350m (9,000-11,000ft), depending upon weather, snow conditions, and team strength. This is a moderately difficult carry of 7-9 miles round trip, with 600 to 900m (2,000–3,000ft) of elevation gain and a return to Camp 1 for the night taking around 6-7 hours. May 3 MOVE EVERYTHING TO CAMP 3. Our second overnight camp is beyond the cache at Camp 2 in the 11,200ft/3,414m basin at the base of Motorcycle Hill. This is an incredibly beautiful location that basks in alpenglow when the sun travels around the north side of the mountain. May 4 BACK-CARRY DAY. This is an “active rest day” during which we drop back down and pick up the cache that we left near Kahiltna Pass (Camp/Cache 2) and taking 6-7 hours round trip. It also helps give us another day to acclimatise before moving higher. May 5 HAUL LOADS AROUND WINDY CORNER (13,300ft/4,050m). Steep snow climbing up the 300m/1,000ft high Motorcycle Hill rewards climbers with spectacular views. The total distance for the day is about four miles round trip with a little over 600m/2,000ft of elevation gain. Fun climbing with crampons and ice axe gets you around Windy Corner where the upper mountain comes into view. Have your camera ready! May 6 MOVE TO CAMP 4 (14,200ft/4,328m). This is usually a long, hard day. Our next camp is generally located at the well-equipped Camp 4 (4,328m/14,200ft) in the expansive Genet Basin. Loads are getting lighter and the air is getting thinner. Upon arrival, everyone will need to pitch in to build our camp, as we need to fortify our tents due to the possibility of severe winds. May 7 BACK-CARRY DAY. This is another “active rest day,” during which the team will descend from Genet Basin to the Windy Corner cache and bring everything up to Camp 4. We’ll spend the afternoon going over climbing techniques that we will use in the upcoming days. May 8 CLIMB UP THE HEADWALL TO THE RIDGE. Our goal is to cache supplies up on the ridge above us and return to Camp 4. Climbing up the “Headwall” (the section of route with fixed lines running from 15,500ft /4,570m to 16,100ft/4,907m with a heavy pack makes this one of the more strenuous days of the trip because of the steep terrain, heavy pack and thinning air. The views from the ridge can be as breathtaking as the rarefied air! May 9 REST DAY. It is often prudent to take a rest/acclimatisation day prior to moving up to High Camp. Many climbers feel this day really helps their acclimatisation. May 10 MOVE TO HIGH CAMP. Weather and team strength will again determine this decision. While there is a camp site at 16,100ft /4,907m, it is very exposed, so we usually push for the 17,200ft/5,243m site which is more secure and the better choice for camp. This is a really tough day, as our loads are big and some of the terrain we will negotiate is steep. Rewards for our work are in the awesome climbing along the ridge. Weaving in and out of the rocks and occasionally walking a knife-edged stretch of ridge, combined with big exposure make this day one of the most memorable of the route. May 11 REST DAY. Moving to 17,200ft/5,243m and getting High Camp established can be a huge day, so we usually take a rest day before attempting the summit. Circumstances could be such that we do not take this rest day, but if possible, we prefer to take it. May 12 SUMMIT DAY. If the weather is favorable, we’ll push for the summit. It is important to be patient on a big peak like Denali and we will only try for the summit when the weather is good; meaning mostly clear and calm. Our guide staff are the most experienced on the mountain and your guides will make this sometimes difficult decision. The round trip climb will take 12 hours or more. Usually you will depart camp early (7-10am), climb up to Denali Pass (18,000ft/5,486m) and follow the route past Arch Deacon’s Tower and the Football Field to the slopes leading to the Summit Ridge. On this spectacular ridge you can often see down into the Ruth Glacier with views of beautiful peaks such as Moose’s Tooth, Mt Huntington and Mt Hunter. May 13-14 DESCENT. The descent from High Camp takes from one to two days, depending on the team’s strength and motivation to get home. The descent can beat you up more than the ascent, as we often shoulder our heaviest loads of the trip as we hike down from High Camp to Camp 2. Weather dictates when we can fly out to Talkeetna for food and showers. Not much beats a steak and salad at the West Rib Tavern after working hard on Denali! May 21 RETURN TO ANCHORAGE. We will provide group transportation back to Anchorage and assist in making any necessary lodging reservations; however, lodging expenses after the climb are your responsibility. As we cannot predict when we will come off the mountain, we cannot make arrangements for lodging ahead of time. This is a true transition day from the intensity of the mountain to the relative “big city” life of Anchorage. May 22 FLY HOME. Or visit other parts of The Last Frontier!